In Network Design & Optimization, Neglect Infrastructure At Your Peril! Two interesting articles published recently discuss the challenges confronting consumer packaged goods (CPG) manufacturers as the retail landscape shifts (sidebar newsflash: the retail landscape is always shifting!). 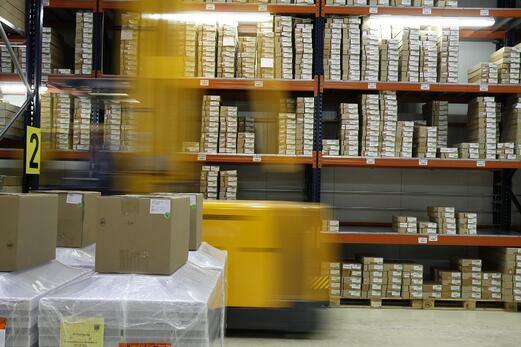 80% of CPG companies think supply chain network re-design is a top priority. The current cost breakdown between warehousing and transportation for the combined CPG-retailer supply chain is 51% transportation and 43% warehousing (the balance being overhead and administration). Freight is the biggest chunk of costs so it’s important. However, it’s not so overwhelmingly important as to render the other 49% of the costs ignorable. But that’s what happens too often with the most popular approaches to network re-design. When companies approach LIDD to talk about network optimization – and the linked articles do a good job of explaining what triggers those conversations lately – many put too much weight on the “modeling tool” used for the network study. A network optimization project is an enormous undertaking that requires a variety of analytic tools to perform comprehensively. Modeling the flow of product by freight mode from and through the various network nodes is critical. But those nodes are not just points on a map. Those nodes are key enablers of your ability to serve your customers across all channels. Each node in the network is a production or distribution facility that has a throughput, storage and pick facing capacity. Each facility sits on a site with a fixed ability to expand. Measuring the impact of network optimizing on those facilities is the most arduous part of the undertaking. Moreover, executing a network re-design cannot happen without a realistic plan to adjust those facilities for their new roles within the network. Lastly, often the greatest hurdle in matching your network to the new realities of retail lies in information technology. Business and Warehouse Management Systems that support limited SKUs, large production batches and case or pallet pick operations can often struggle with the short production runs, kitting-generated product lines and piece picking with which CPGs must now grapple. If CPGs are looking to adjust and win in a new era of retail, they should not look to old ways of solving their network problems. Adapting to shifting industry behavior requires a different set of strategies to create flexible supply chain operations. 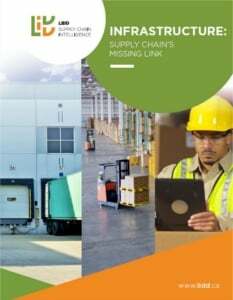 Visit LIDD’s blog for more supply chain insights.